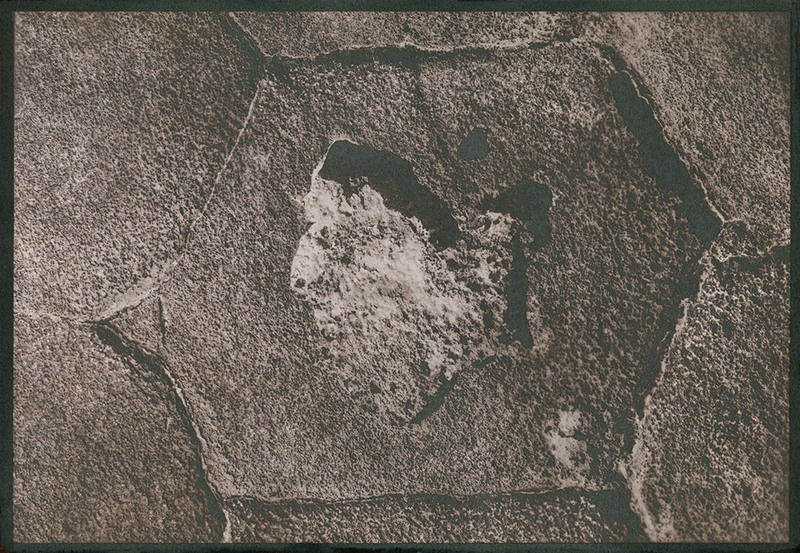 A Crystalline World (2017) is a series of photographic salt prints made using salt collected from a disused salt mine in the Mallee, a semi-arid region of Victoria, Australia. The images show the creases of time that have been etched into the abandoned salt stacks left over from when salt was harvested from a nearby salt lake. The work engages with the “deep-time” of the Mallee, a region that was transformed from an ancient inland sea to a semi-arid terrain over a period of thousands of years, by chemically enfolding elements from the environment into the image-making process of the salt print. 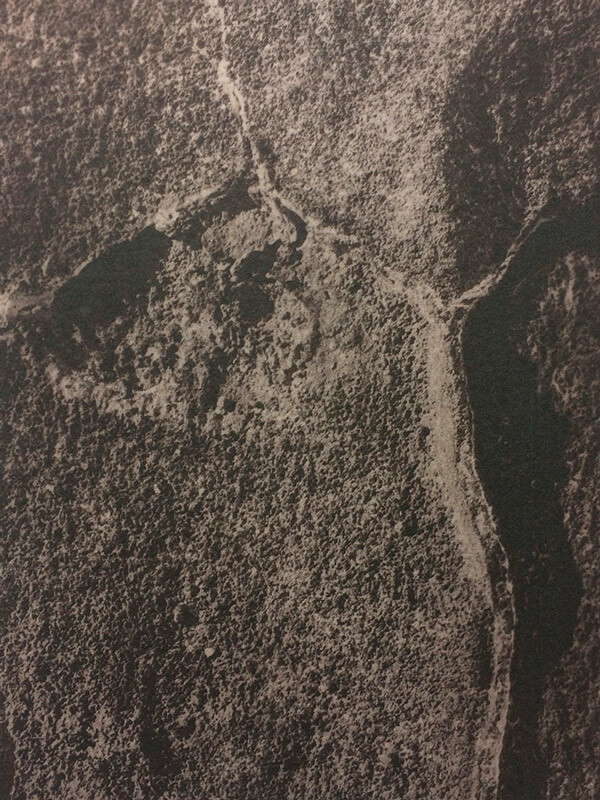 This process therefore maps the shifting ecologies of the site through its own materials, the salt being both the subject and the material means through which the image is printed (and becomes visible). 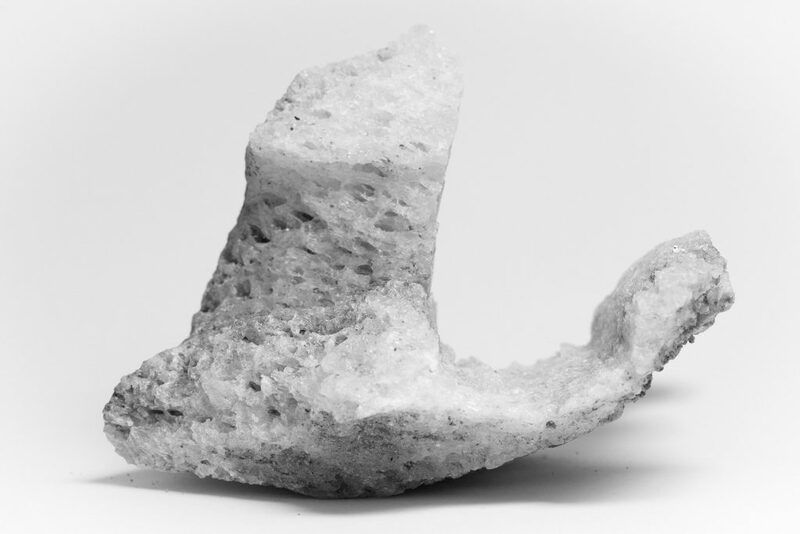 Displayed alongside is Big Salt (NaCI) (2017): two c-type prints that reproduce the sculptural forms of the salt that Nightingale used to make the salt prints.